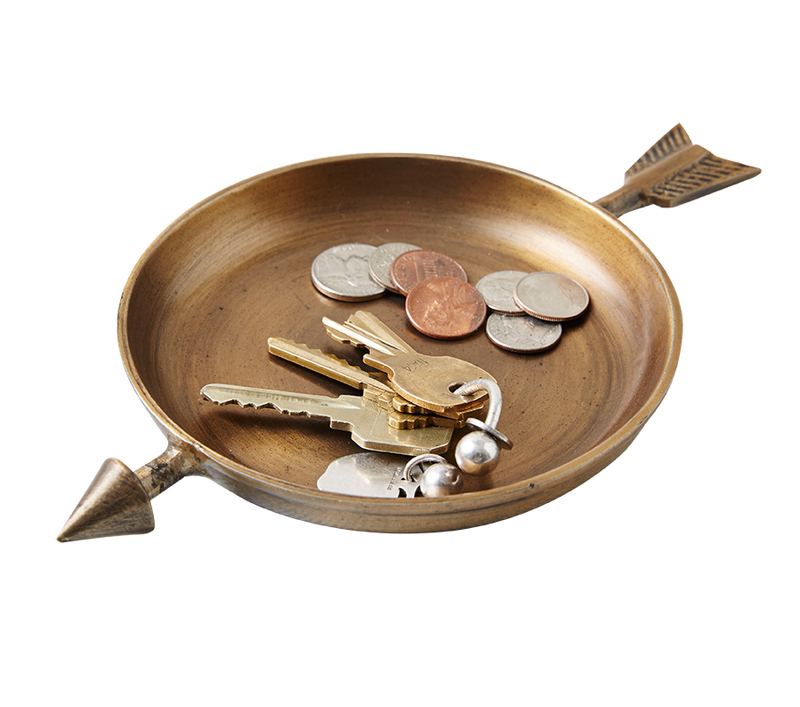 Toss your keys, change and other pocket essentials in a pretty tray. one: Heritage catchall, available at West Elm. 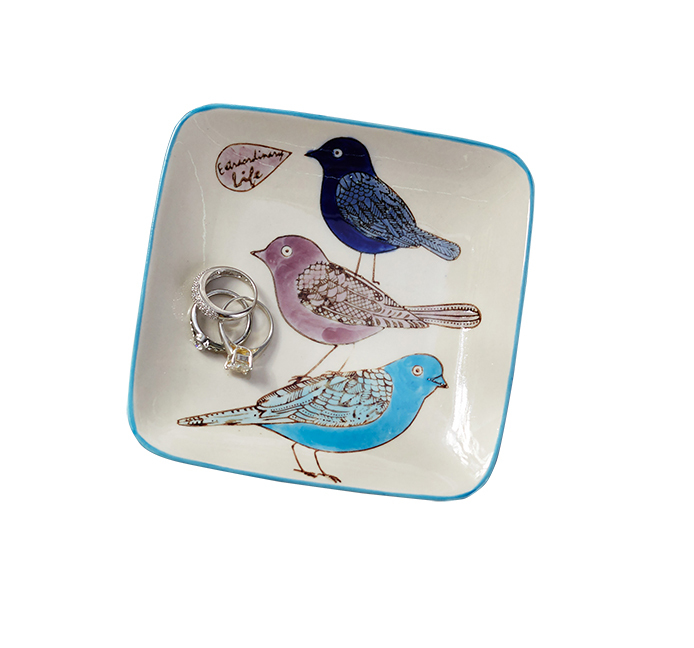 two: Bird catchall, available at Pottery Barn. 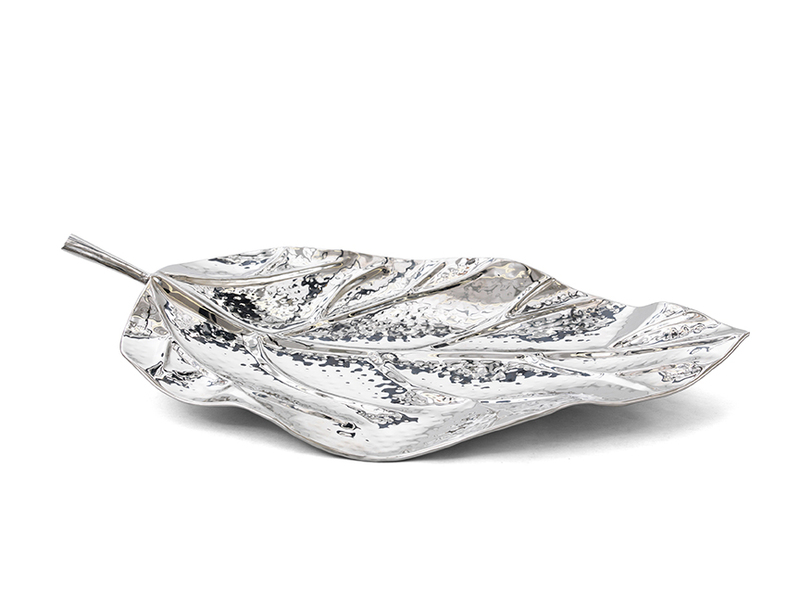 three: Leaf tray, available at Mitchell Gold + Bob Williams. four: Bird and leaf catchall, available at The Gifted Gardener. 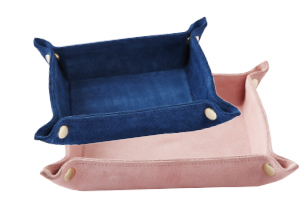 five: Suede catchall, available at West Elm. 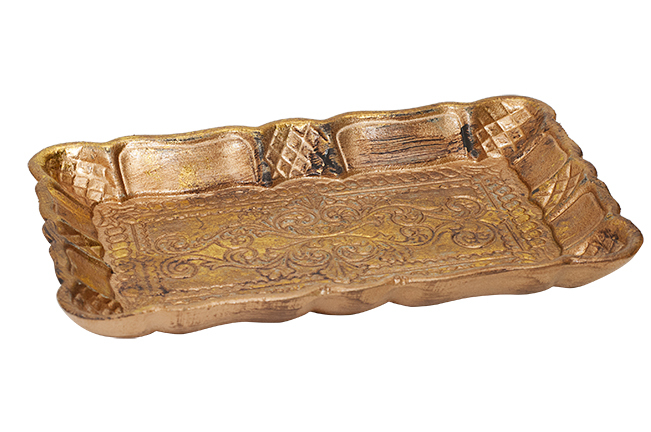 six: Gold rectangle catchall, available at The Gifted Gardener.